Istanbul Governor’s Office Culture and Tourism Department Director Coşkun Yılmaz announced on his Twitter account on July 23 that the Nusr-Et sign put on the front gate of Istanbul’s historic Grand Bazaar was removed after complaints. “We have taken down the placard, which was put up by shop owners without required permits. The Fatih Municipality has also issued a fine,” Yılmaz said. Nusr-Et’s latest venue in Istanbul was opened inside Istanbul’s 557-year-old Grand Bazaar in May. 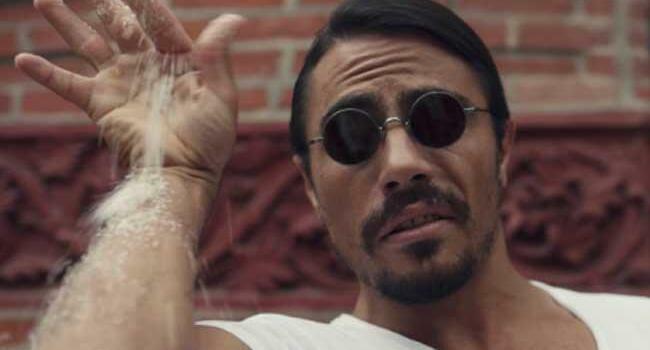 Nusr-Et was made famous by butcher-turned-social media star Nusret Gökçe, who went viral under the nickname “Salt Bae” in 2017 after posting videos of himself salting meat. Salt Bae’s distinctive cobra-like maneuver earned Gökçe millions of Instagram followers and has helped launch Nusr-Et restaurants in the Middle East, New York, and Miami. Reuters reported this month that creditors of Doğuş, which co-owns Nusr-et restaurants, were at odds over the restructuring of nearly 2 billion euros in debt.